I wish I had some stories to share with you all from that week that was, now we are at Friday. However, I have been a) enjoying lattes and sleep ins or b) working on a business plan worthy of a Qantas take over bid so nothing really exciting to report (not hard in Oz at the moment). I cannot wait to share more details on the business plan however I will hold off until things are a little more set. In other news if you are looking at filling a large space and wanting to create some dimension consider a low leather bench seat or chaise. Perfect for larger warehouse spaces with an industrial feel or as a room divider in any style you desire. 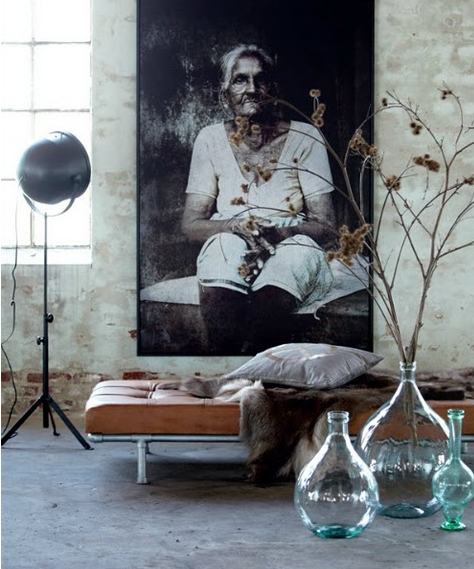 Simply add cushions or a throw that suits your room decor…. I have moved into my new house and I am so excited to be unpacked! Although I have still to complete my bedroom I did not want to bore you with more bedroom ideas today and decided to turn my attention to the other area of the home that we need to concentrate on here- the dining room. In fact we do not have a dining table at all which makes dinner parties a tad hard. Does the very sight of this square table makes its rectangle cousins look dated or is that just me? If you are using a bench seat consider covering it in bright upholstery or mixed prints. Try using two high chairs on opposite ends with low chairs or alternative ends. 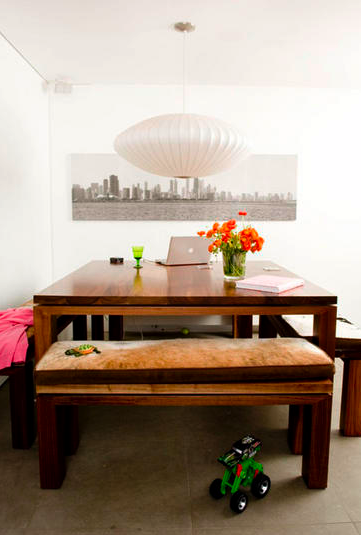 DO keep this table clean during the day- over sized table ornaments will looks dated. DO think about playing with different combination- clean walls/padded printed seats, wallpapered walls/plain coloured seats, bright table/plain chairs, patterned carpet/patterned chairs. DON’T try to make this any bigger than nine seats in total- you will lose the flow of conversation. If you do have a table that seats 9 don’t try the bench seat- you will have to go with chairs to keep everyone at the right distance from the table.